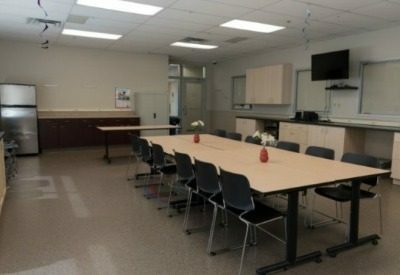 The Edmonton Humane Society has a number of spaces available for rent, whether your company is looking for a space for a meeting or you want to host a birthday party. For more information on our facility rentals, view our Facilities Rental Guide. Our spacious and clean education classroom can be used for seminars, courses, Scouts groups, presentations, parties, and more. The classroom has a smartboard with a wireless remote/laser pointer that is connected to our in-house computer, or you can bring in your own laptop. The room has a sink and plenty of counter space. It can fit up to 40 people, and there are plenty of chairs and eight 6′ fold-up tables available for use. 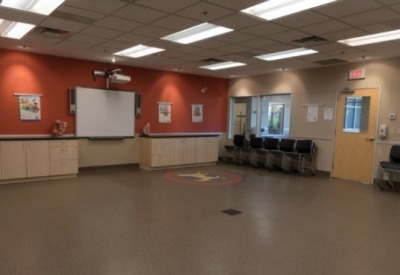 Our bright and spacious Learning Annex can be used for meetings, presentations, parties, and more. Plenty of natural light fills the room due to extra-large windows leading out to the patio, which is also available if required. The standard set-up fits 12 people around four large tables, but can be rearranged to fit up to 30 people. This room also contains a fridge and television for your use. The television can be connected to your laptop if required. Our bright and comfortable boardroom can be used for meetings, presentations, team building, and more. 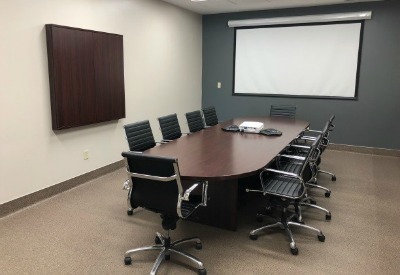 Our boardroom contains a projection screen, a whiteboard, and two speaker phone systems for conference calls. It can fit up to ten people, but extra chairs can be provided if required. 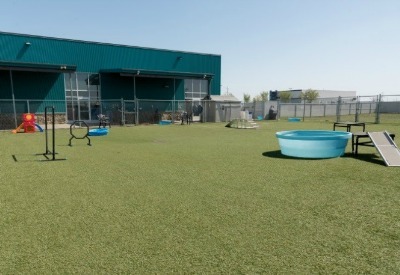 The Canine Enrichment Centre indoor rental space is a modern, clean, 5,000 square foot heated and air conditioned facility. We use proven, effective methods and products to ensure expert sanitization and disease control. 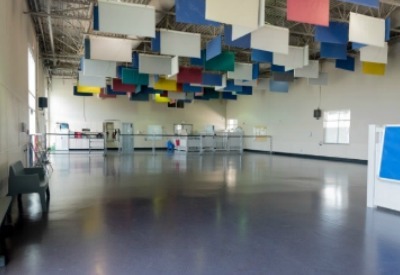 In fact, our indoor space offers a completely sealed floor for easy clean-up and ultimate sanitization. Our large outdoor patio is complete with a 5,000 square foot turf yard with canine play equipment and a six-foot, slatted, chain link fence. Poop bags are supplied. 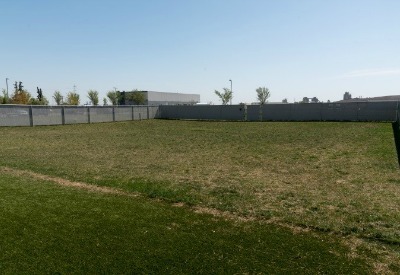 Our private dog park has real grass for an extra enriching experience, and a six-foot chain link fence. Poop bags are supplied.